There are a few platforms out there that are tackling the concept of decentral sports betting. One of the platforms is called Better Betting and the token that you use with the platform is called “BETR”. The advantage is that there is no KYC and that you are taking part in peer to peer betting. There is no counterparty risk and no way to suspend or limit your account. You can prove what your bet was due to the use of the blockchain to document and timestamp each bet. 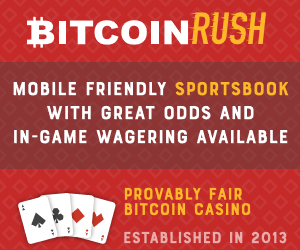 Bets are graded quickly and sent directly to your wallet that you control. BETR uses the Ethereum blockchain. There is a web and mobile app with a wide range of sports. 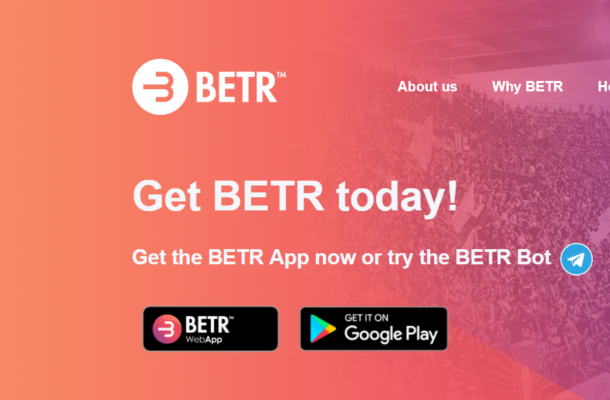 All you need to do is buy some BETR token and you can start betting. There is also a telegram bot that connects to your wallet that is pertty easy to use. On one hand what is easy about BETR is that there is a webwallet and that you can use Changely to buy BETR token with Credit Card, Bitcoin or other methods. The only risk is the price of BETR itself. There are plenty of betting options and the odds are very compeitivie with top sportsbooks like pinny, 5dimes, betonline ect. There is no option for parlays or teasers, but maybe that is a good thing. They keep adding more sports and betting options. In degenbet´s opinon it is a shame that there is no MMA and Futures betting. You can also take the other side of users bets and “Lay”. The interface makes it easy to lay a single bet, event or whole sport. If you want exposure to the sports betting industry but do not want to go through all the work of opening up a sportsbook then lay betting entire sports and events is a good way to gain exposure. The ICO price of BETR was 10 cents. The current price is 0.0025 USD which is a quarter of a cent. Just like the rest of the crypto market the BETR price has really struggled as of late. On the other hand we could be nearing a bottom for this crypto market cycle. Would you feel better holding a bag of BETR after it went up 100% or after it is a tiny fraction of its ICO price? 5dimes offers the widest range of MMA props and has reduced lines on MLB, NBA, MMA, NFL and more. Local Bitcoins is the best and quickest way to buy bitcoin worldwide.